Leveraging employee surveys from more than 8,700 organizations and half a million employees who participated in the Best Places to Work program, Quantum Workplace aggregated contest data from 44 cities to identify locations with the highest percentage of highly engaged employees. Omaha, NE, March 26, 2018 --(PR.com)-- Quantum Workplace, an employee engagement software company known for its Best Places to Work program, recently released its list of most engaged cities in the U.S., with Nashville nabbing the #1 spot. Cities ranged from having 80 percent of employees highly engaged to 57 percent of employees highly engaged, a gap of 23 percentage points. On average, 78 percent of employees were highly engaged in the top 10 cities. Nashville regained its top spot this year, being back at number one for the first time since the 2015 report. This is Baltimore’s first time on the top 10 list, while Chicago, last year’s most engaged city, dropped out of the top 10 entirely. “Employee engagement is critical to a city’s economic growth; area leaders and chambers of commerce should be doing all they can to promote employee engagement,” said Quantum Workplace CEO, Greg Harris. 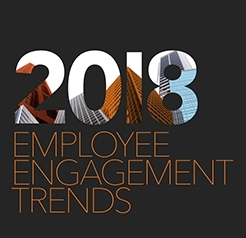 For more information on employee engagement in particular cities and nationwide, visit www.quantumworkplace.com/2018-most-engaged-cities. The research conducted examines more than half a million employees at more than 8,700 best places to work across the US. Participants are asked questions about key factors affecting employee engagement, including perceptions of teamwork, trust in leaders, job satisfaction, and benefits. The survey uses a six-point Likert scale, and employees are classified as highly engaged when their average response is between five and six. All surveys were collected from January 1, 2017 to December 31, 2017.